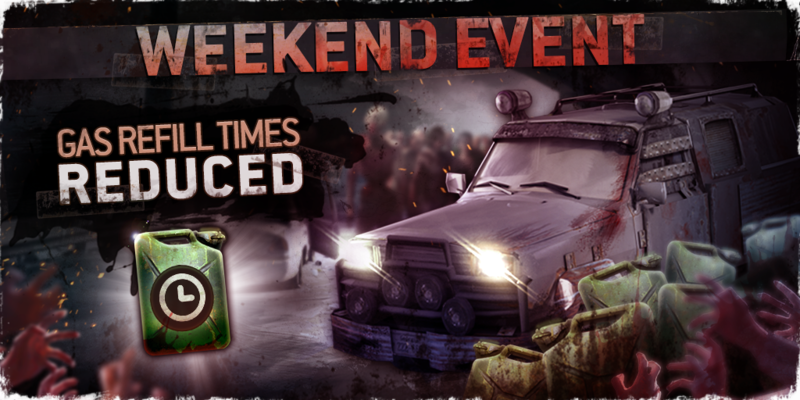 Weekend Event: Gas Refill Time Reduced! To celebrate Walker Week, this weekend No Man's Land is bringing you faster gas refills for the whole weekend! Note: The Full Gas booster has been removed from the in-game store for the duration of the event. This event starts on Friday at 7 AM UTC and ends on Monday at 7 AM UTC.